Happy Saints: Happy Saints Button Badges in Singapore! 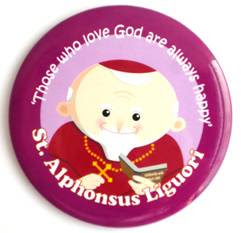 I am pleased to announce that the Happy Saints button badges are now available in Singapore, my home country! 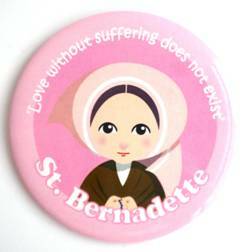 Spread His Word and His Love to the world with bright and happy badges of our beloved Catholic saints & blesseds. Great for small and big kids @ heart! 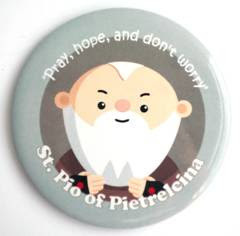 They make great gifts to kids in our Sunday schools for Children’s Day and a fun teaching tool to encourage them to know more about our saints. May these sweet badges inspire us to know more about the great men and women of our Church. And may the saints be our guides to love the Lord ever more in our Christian growth! 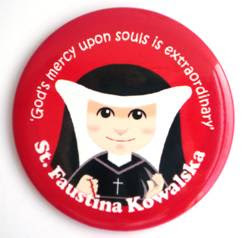 14 cool badges of saints and blesseds produced by my friends' fine Catholic gift company, Spes Et Gaudium. Saw the badges in SIN. They make perfect collectible gifts for children and the young-at heart! I loved the quote of each saint on the badge. Inspiring!